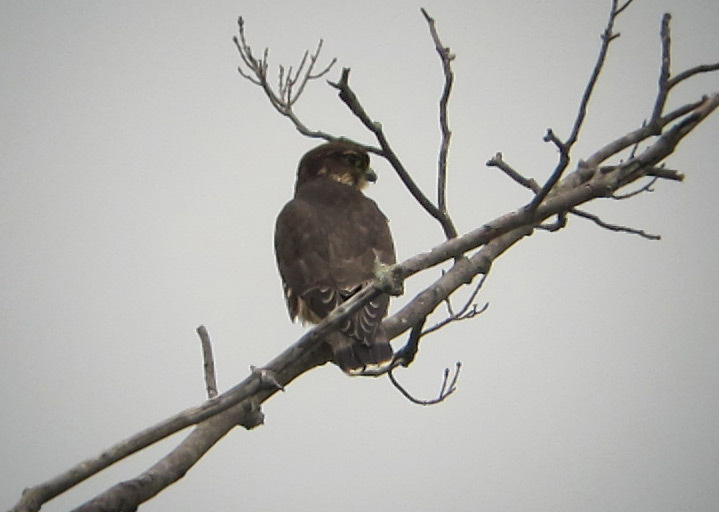 'Taiga or Boreal' Merlin, Whately, Franklin County, MA. August 24th, 2010. Probably juvenile. A strong North Easterly with rain and drizzle has persisted since Sunday, so this morning I tried an hour scouting for shorebird pools in the Hatfield/Whately fields along the CT River. Surprisingly, I came empty and found virtually nothing in the way of rain pools. The only bird of note I could muster was a Greater Yellowlegs on a shingle bar on the river itself. But having not done any local birding since returning from Arizona it was just nice to get out do some poking around. I noted a couple of Yellow Warblers and an American Redstart with a chickadee flock by the CT River, and both adult and juvenile Bald Eagles overhead. 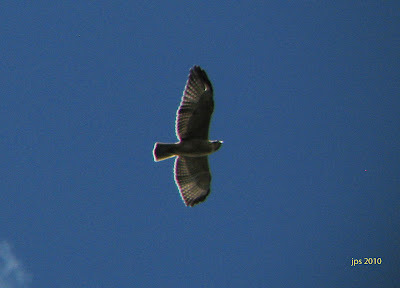 Also of note locally on Sunday morning, August 22nd, a Black-crowned Night Heron over North East Street, Amherst. Short-tailed Hawk - juvenile, Barfoot Lookout, Chiricahua Mountains, Cochise Co., Arizona. July 30th, 2010. Images taken using Canon Powershot A540 through Leica 8x42 bins. 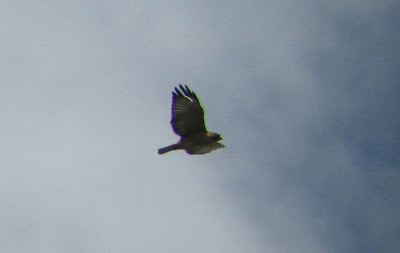 Certainly one of the highlights of the recent Birdfinders tour of Arizona. A fantastic morning in the Chiricahuas culminating in the observation of this juvenile Short-tailed Hawk low over Barfoot Lookout. 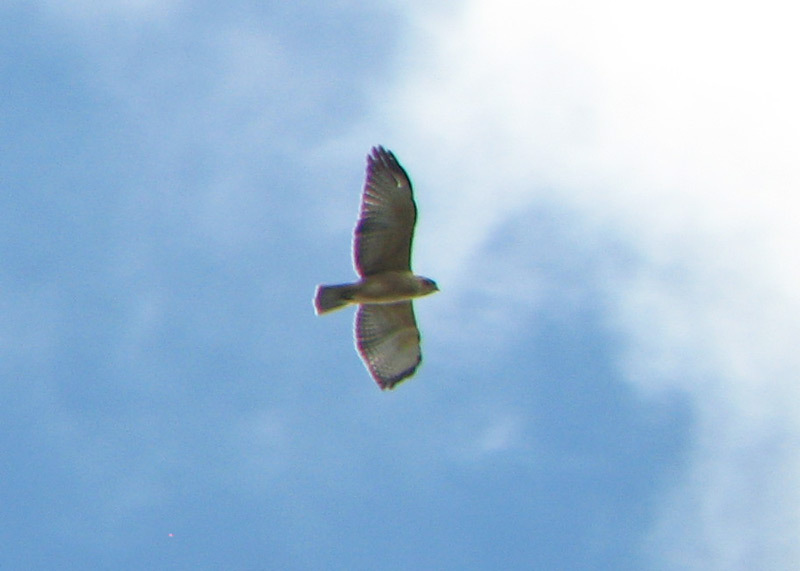 Earlier, under the expert guidance of Helen Snyder, we had a light morph adult and the same juvenile cruising over Barfoot Meadow. Both birds formed part of a successful breeding story from the Chiricahuas this year. 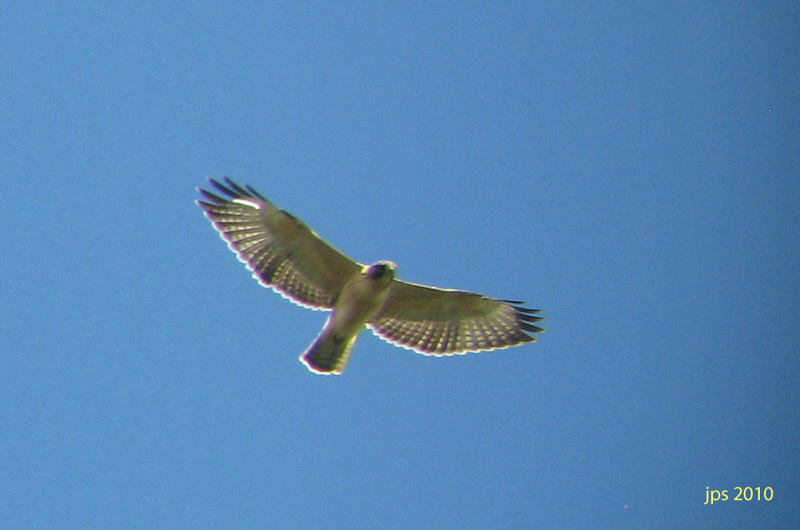 Short-tailed Hawk - light morph adult seen from Barfoot Meadow, Chiricahua Mountains, Cochise Co., Arizona. July 30th, 2010. 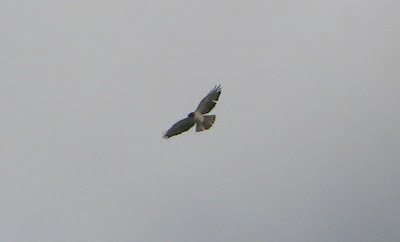 Images taken using Canon Powershot A540 hand held through Swarovski HD scope. 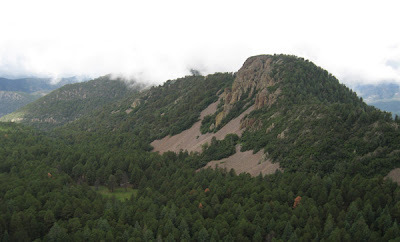 View from Barfoot Lookout, Chiricahua Mountains, AZ. July 30th, 2010. 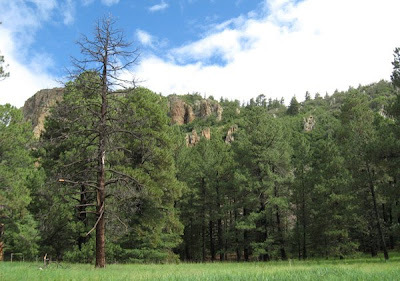 View from Barfoot Meadow, Chiricahua Mountains, AZ. July 30th, 2010. 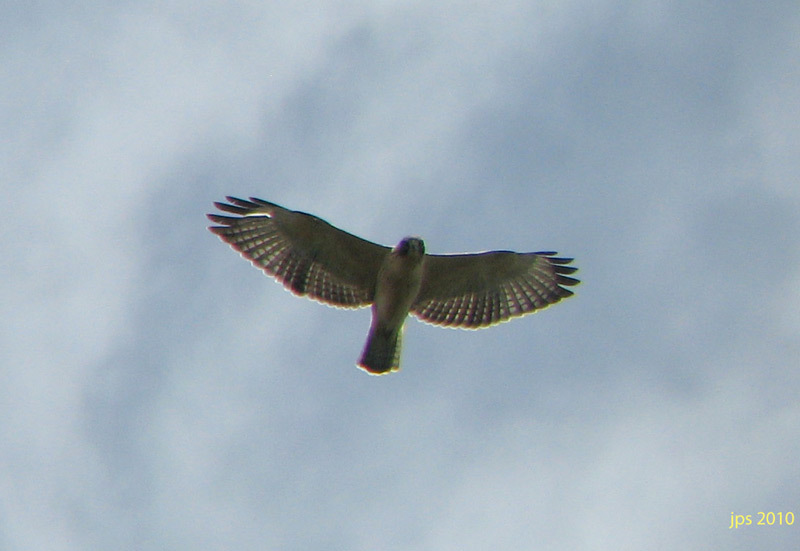 The Short-tailed Hawks could be seen cruising over the crags for extended periods in mid-morning.